QUICK ORDER PACKAGE 24B -inc: Engine: 3.6L V6 24V VVT UPG I w/ESS, Transmission: 8-Speed Automatic (850RE), TIRES: 245/75R17 ALL-TERRAIN, SIRIUSXM SATELLITE RADIO -inc: For More Info, Call 800-643-2112, 1-Yr SiriusXM Radio Service, QUICK ORDER PACKAGE 24B -inc: Engine: 3.6L V6 24V VVT UPG I w/ESS, Transmission: 8-Speed Automatic (850RE), GVWR: 5,300 LBS (STD), FIRECRACKER RED CLEARCOAT, ENGINE: 3.6L V6 24V VVT UPG I W/ESS (STD), BLACK/HERITAGE TAN, CLOTH LOW-BACK BUCKET SEATS, ANTI-SPIN DIFFERENTIAL REAR AXLE -inc: Bridgestone Brand Tires, Tires: 245/75R17 All-Terrain, 21.5 GALLON FUEL TANK. 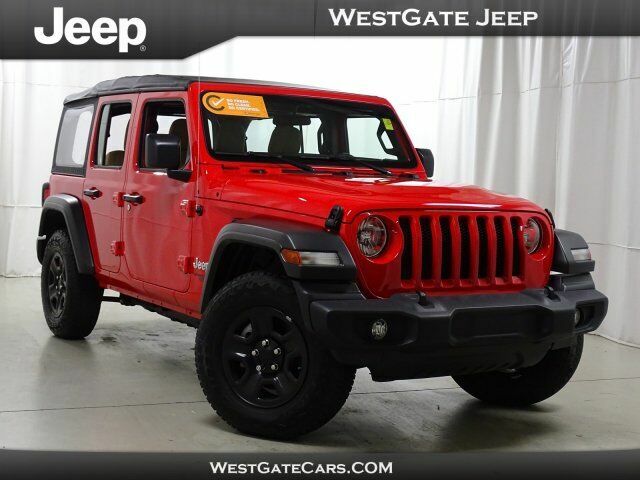 For a must-own Jeep Wrangler Unlimited come see us at Westgate Chrysler Jeep Dodge Ram, 6421 Old Westgate Rd, Raleigh, NC 27617. Just minutes away!